sugars, Donna began developing a wide range of recipes that fit the bill. Maddie loved them! 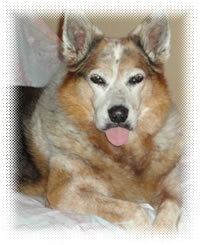 Soon, Donna was supplying treats and baking for the pets of family and friends. With the increasing demand for Donna’s great-tasting collection of gluten and allergen-free dog treats and cakes, she considered opening a store which could combine her grooming business and her healthy, handmade pet treats. Then one day in 2008, as she watched an ice cream truck stop at the beach and the kids lining up to get a treat, the concept for a mobile doggie treat food truck was born! Donna researched and developed her concept, and her products, throughout 2009 and 2010. 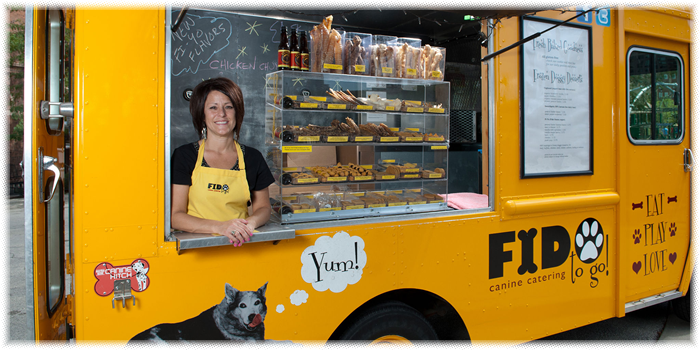 Making its debut at the Anti-Cruelty Society of Chicago's "Bark In the Park" in the Spring of 2011, Fido to go™ is the nation's first doggie treat truck of its kind; visiting parks, festivals and neighborhoods all over Chicago. Featuring a wide selection of products made from natural, organic and USA- sourced ingredients, Fido to go™ has gluten-free treats, specially formulated Fi-Yo™ doggie frozen yogurts, and Midwest-sourced natural treats and chews for both cats and dogs. Fido to go™ is a firm believer in supporting charitiable causes that help animals in need such as Anti-Cruelty, PAWS Chicago, Disabled Dogs, Veterans, rescue organizations, CPD K-9 Unit and Hurricane victims just to name a few. Donna and her team treat all their furry four-legged customers at Fido to go™ with the same love and compassion that they would their own pets.